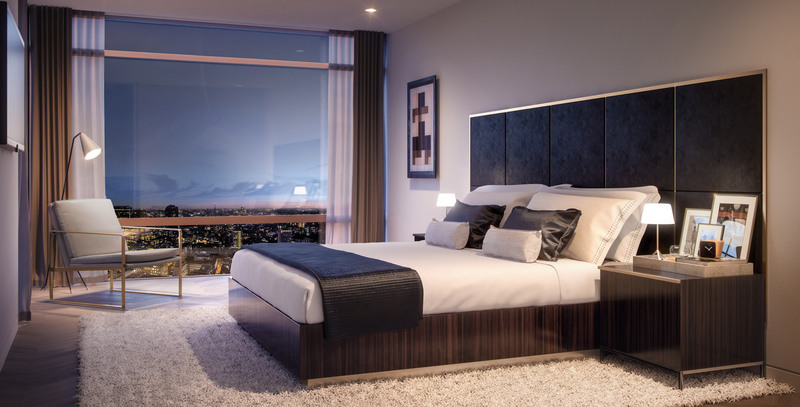 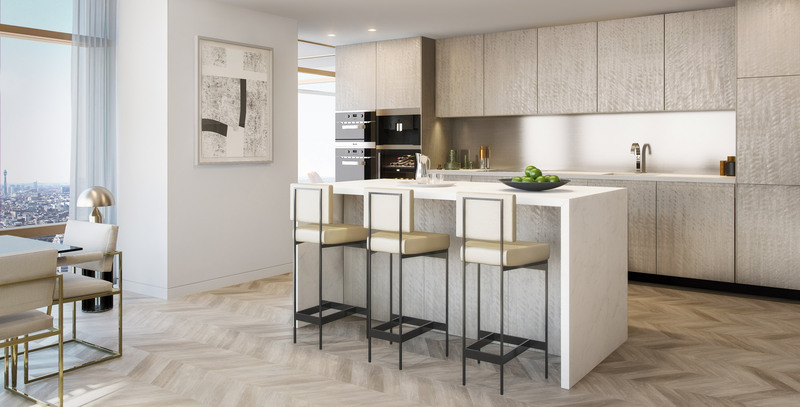 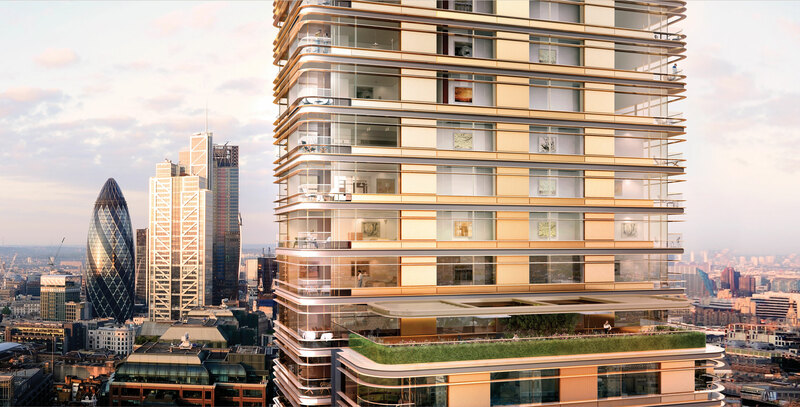 Each of the luxurious apartments in this 50-storey tower also benefits from the residents’ gym and spa, screening room, lap pool, 24-hour concierge and the newly built adjacent tree-lined piazza of shops, restaurants and bars. 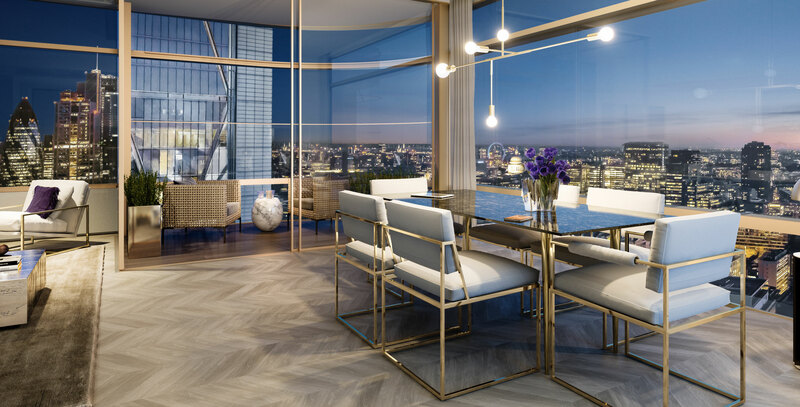 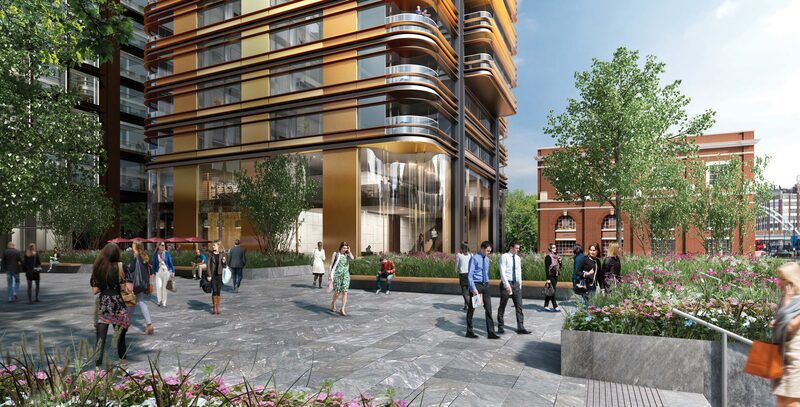 With a City address, but within walking distance of trend-setting Shoreditch, the development offers fast, efficient transport links, as well as a wealth of cultural and culinary experiences on the doorstep. 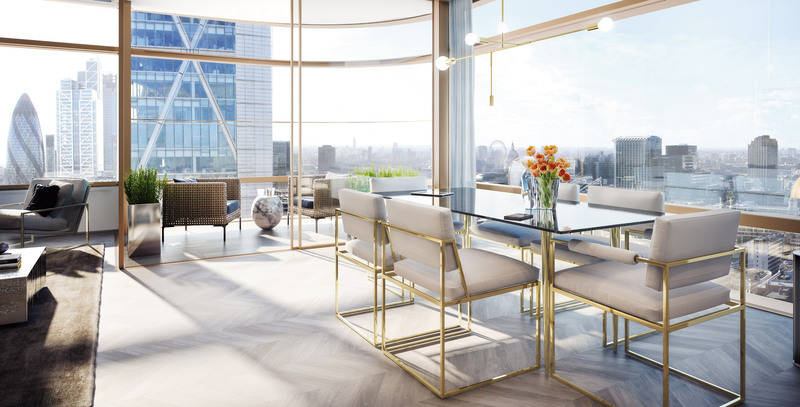 All interiors are designed by Foster + Partners’ own in-house interiors practice in collaboration with LIV Interiors to seamlessly blend with the architecture. 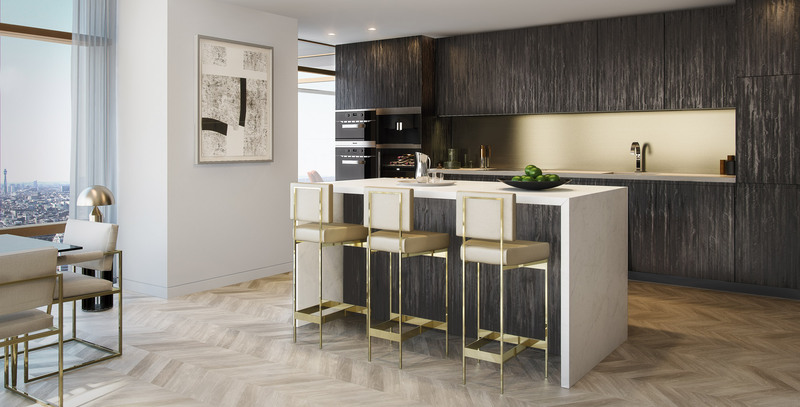 A cool palette, carefully considered detailing and the very best materials combine to create serenely elegant spaces. 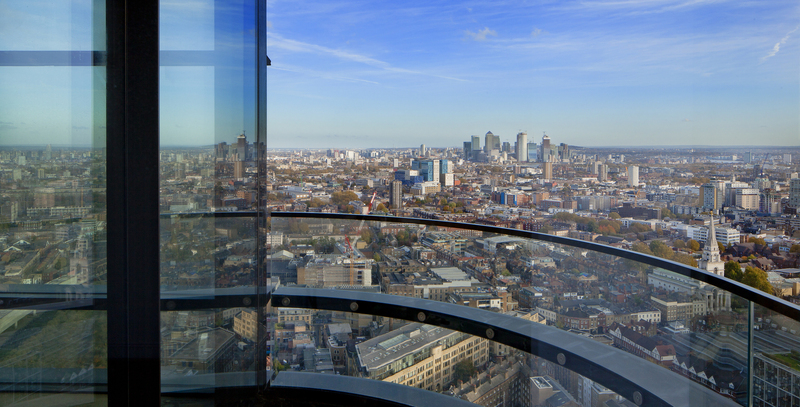 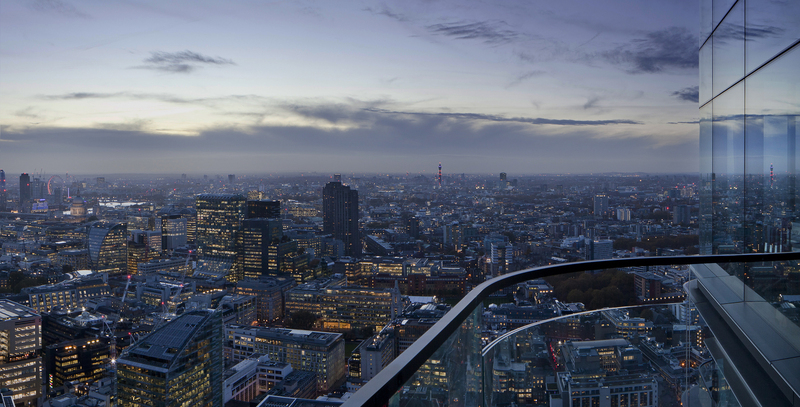 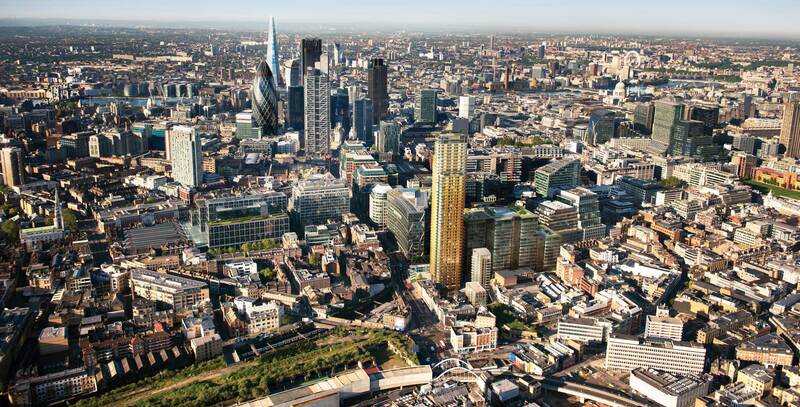 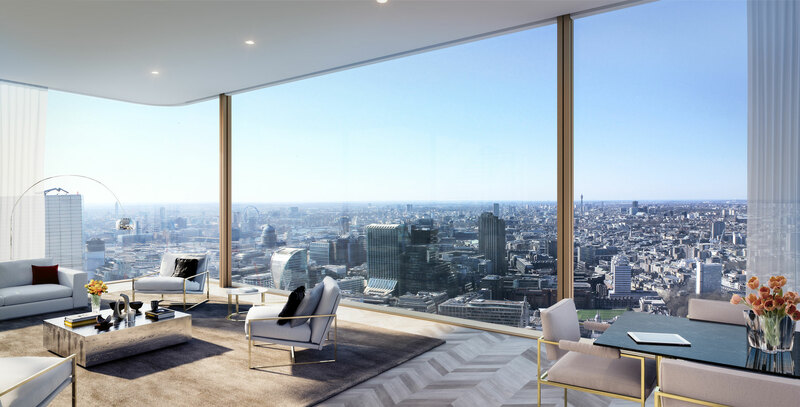 The spectacular views are an integral part of the apartments – epic vistas of an epic skyline. 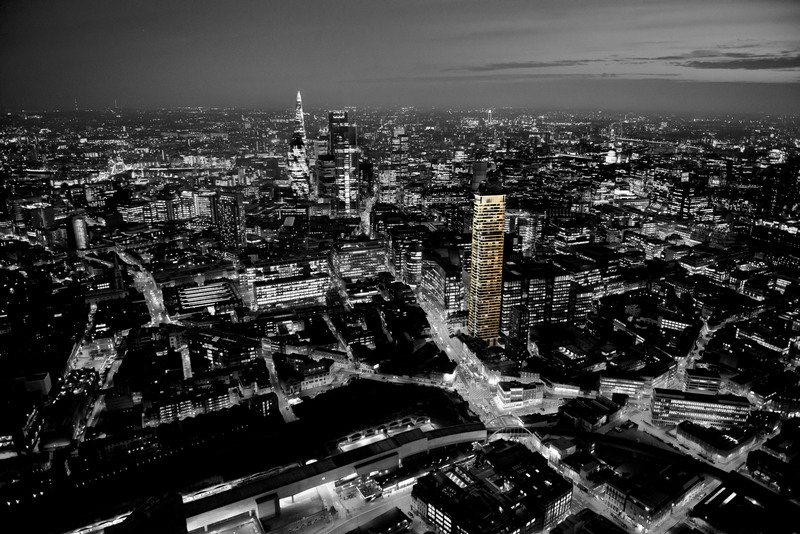 THE TOWER IS SITED UPON ONE OF THE RARE PLOTS OF LAND THAT ISN'T GOVERNED BY HEIGHT RESTRICTIONS, WE DESIGNED IT TO GIVE A MAXIMUM NUMBER OF CORNER VIEWS, AND ITS SHAPE WAS THE RESULT.